The LVL Enhance treatment works by straightening the natural eyelash at the root with an added tint providing instant results. It creates a wider, brighter looking eye effect. As it works with the natural lash, LVL Enhance is ideal for customers who are new to eyelash treatments, or those looking for an everyday lash enhancement with no maintenance and no damage to your lashes. 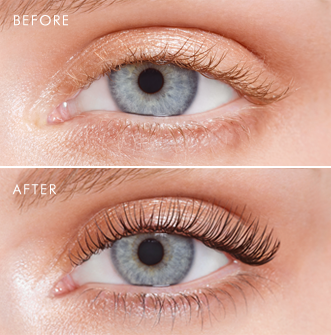 You are able to wear mascara with this treatment 24 hours after. This is a pain free, relaxing treatment and takes around 40-50 mins. The treatment lasts around 4-6 weeks depending on your lash cycle.